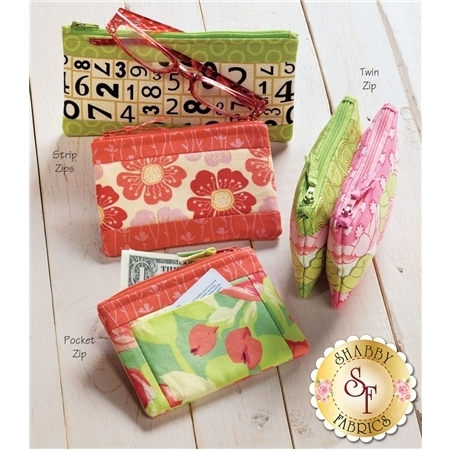 These wallets are fun and functional! 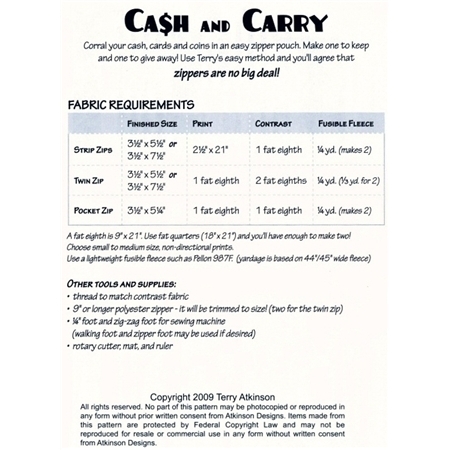 Pattern includes instructions for three styles of zippered pouches: Strip Zip, Twin Zip, and Pocket Zip. Fat eighths are the perfect size for this project!